The focus of this trip is clearly not wildlife, but we do want to take a whale watching tour from Husavik. Does anyone have any recommendations? The only whale species I’ve seen so far are gray and humpback, and the dolphins i’ve seen are only orca, bottlenosed, dusky and hector’s so everything else will be lifers for me. The date is in the vicinity of Sept. 25ish, so I don’t think there’s a good chance for blue whales but I’ll be excited about whatever we see – just want the most professional and wildlife-oriented outfitters 🙂 Oh, I’ve also seen dall’s and harbor porpoises but any other species will be new to me as well. 2. (There was never really a 1. but this is the second question…) Is there a good place on the island to see an arctic fox? I’m not even sure if they’ll be in winter coat yet, but it’s still an animal I have yet to see. We will be going around the entire island clockwise in a rented car, and be visiting several national parks and nature reserves along the way. So if anyone has a good spot for them, there’s a good chance I will be in the vicinity at some point, and can go where you tell me. 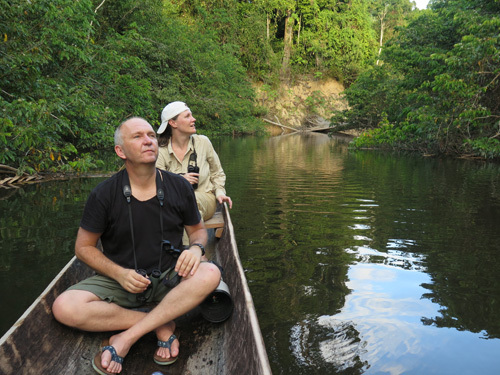 Thanks in advance, and by the way I have to say – there have been some great reports coming in, from Peru, South Africa… Damn. I guess as the community keeps growing and the guides are getting more clients, they’re getting more and more efficient. It’s exciting. Help! 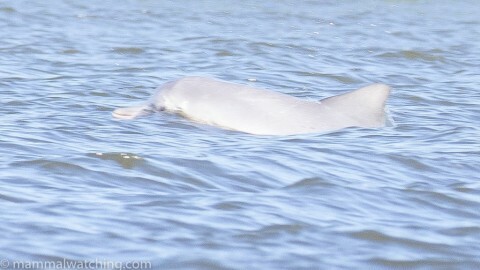 Franciscana or Cotero Dolphins? We camped 2 nights in Skaftafell NP in June 2011 and saw artic foxes around the camp both evenings. Quite tame. We saw another one during a hike in the park. I’ve heard that the best place to see arctic foxes with tour run through the Arctic Fox Center in the municipality Súðavík in the Westfjords (far NW Iceland). http://www.arcticfoxcenter.com/about_us. I will check out both of those. So no input on whale watching tours? The only two options I think are: 1. North Sailing and 2. Gentle Giants. One of them also offers an afternoon tour. Is it better than morning or is it just a matter of luck? We are heading to Iceland in seven days. We opted to not book any whale-watching tours. I figured that since Iceland still hunts whales, they might be hard to see. On the other hand, maybe it’s good to demonstrate that live whales are better for the economy than dead ones. I will be interested in your after-trip report. Holy s**t, this is really sad! I didn’t even realize whale hunting was still an issue in Iceland (mom did most of the reading and researching for this trip.. my responsibility was just to decide on a whale watching tour). Well I guess like you said, supporting the whale watching tourism can support the cause and the argument that more money is actually generated from watching the whales than from selling them. A friend of mine was there last week and saw lots of white-nosed dolphins and minkes. Since both (and occasionally killer whales) are often seen from the shore, I’d leave the decision about going on a tour until the end. Iceland also has fabulous scuba diving, with seals often encountered underwater. That’s good! Thanks again Vladimir! I’ll also check out the facebook link you sent. She’s in Husavik until Sept 18, and can give you a few tips in person. I can give you he email if you remind me yours.